My iPhone 6 Plus is a battery hog. I routinely get around 12 hours off of one full charge. I carry around external battery packs to make sure I’m not short when it matters. I’d do pretty much anything to increase the amount of battery I have left at the end of the day, including the following fairly extreme trick. Testing this out, I fully charged my iPhone 6 Plus twice. The first time, I used it normally, including some down time as I slept through the night. I got 12 hours and 40 minutes of battery life. The second time, I applied the settings that David Barnard on Twitter pointed out: I turned on Airplane mode, Do Not Disturb Mode, and Low Power mode. I did use Wi-Fi at some points during this time, and even once turned off Airplane mode to send a text or two. I got 21 hours of battery life. If I ever need to keep my iPhone charged for a long period of time, I’m doing this again. Airplane mode – simply swipe up from the bottom of your iPhone screen to bring up the Command Center, then tap the little airplane icon to the left of the upper row of icons. All your iPhone’s connectivity will shut down, including the ability to make phone calls, send texts, use Wi-Fi, and all your Bluetooth devices will no longer be connected to your iPhone, including your Apple Watch. 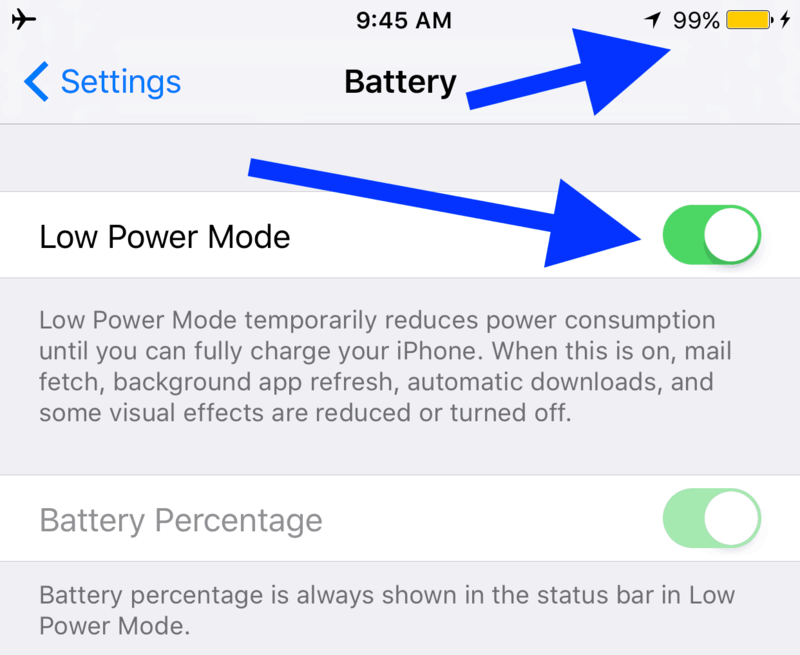 Low Power Mode – this is new to iOS 9, and can be found in Settings > Battery on your iPhone. Toggle Low Power Mode to ON. Your battery icon at the top of your iPhone screen will turn yellow to let you know it’s enabled. It will reduce or completely turn off email fetch, Hey Siri, background app refresh, automatic downloads, Wi-Fi associations, and some visual effects. You’ll note that this is a fairly extreme way to save your battery. Airplane mode keeps you completely shut off from all communication on your iPhone. That could totally be worth it if you want to arrive somewhere with some battery left, or want to wake up with a usable iPhone, though, and you’re stuck without a charger. Even just putting your iPhone into Low Power Mode and Do Not Disturb will show you some gains in your iPhone battery life, so don’t be afraid to experiment. 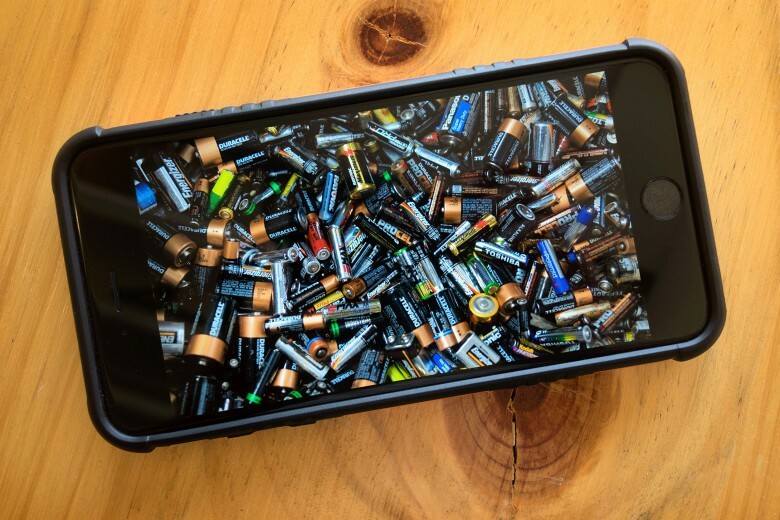 This entry was posted in Apple news and tagged battery, battery life, ios tips, iphone, iPhone help, Iphone Tips. Bookmark the permalink.